In this follow up to my previous post on “Simple, stress-free backups” I’m going to talk you through (as briefly and simply as possible) my system for data backups, including the software and hardware I use. Firstly, I use Shotput Pro for all my image downloads. This nifty little app will download to as many locations/make as many backups at download as you want. However, what makes it really cool is the fact that it (a) verifies every single byte of data against the original to make sure there haven’t been any errors or corruptions in the download process (it does happen, trust me), and (b) it creates a simple text log file verifying that the download has been successful (or not, if the download failed there are other warnings though). This log file gives you proof that you downloaded all the data successfully from the card/s and helps you figure out what went wrong & where if there is a problem. This can help you in the sense that if one of your cards is corrupt you can at least prove that the files were all downloaded successfully and that therefore the issue was in camera/card and out of your control. Obviously, you would still need a good contract that has put some thought into liability at this stage (and possibly liability insurance to boot!). For what it’s worth, 95% of my editing is done in Adobe Lightroom after the download stage. I also use Proxy DNG editing to speed up the editing process, but that’s a whole post in itself. I have all my images saved on an Otherworld Computing Thunderbay (https://eshop.macsales.com/shop/Thunderbolt/External-Drive/OWC/ThunderBay-4) hard drive enclosure containing four 4 Terabyte hard drives. (Although the Thunderbay contains multiple hard drives set up in a JBOD/Just a Bunch Of Disks mode I only have 1 copy of my data saved on the Thunderbay so the entire Thunderbay unit still only counts as 1 backup/copy of my data). I am an Apple computer guy and use the Time Machine app that comes with all Macs to automatically make regular copies of the Thunderbay (and my iMac’s files as well FYI) to a Drobo 5d (http://www.drobo.com/storage-products/5d), which is yet another enclosure containing multiple hard drives. 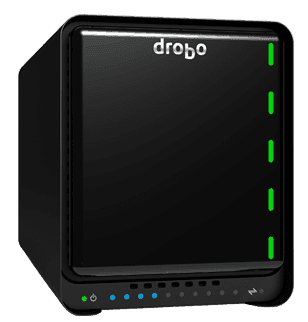 The beauty with the Drobo is that it uses algorithms to spread data over multiple drives so, depending upon your settings you can either have one hard drive die or two hard drives inside the Drobo die and all your data will be restored when you replace the dead hard drives. And the beauty of Time Machine is that it is easy to use and automatic (so you can’t forget to backup) and it updates copies of your data every hour and every day. The hourly copies are only kept for 24 hours I believe but the beauty there is you can delete or save over an important file on the original hard drive and as long as you catch it within 24 hours you can “travel back in time” to the state where the missing file still existed and restore it. It’s like magic! On top of this I keep a third and final copy of all my data in the cloud. I use Backblaze (https://www.backblaze.com/cloud-backup.html#af4600) for this service. And that is how I do it. The last thing I should add is that all my cameras have dual memory card slots and I ALWAYS shoot RAW files recorded simultaneously to both memory cards. This means that if one memory card fails while I’m shooting I always have a complete copy of all the data on the second memory card. Remember, you can’t totally eliminate the risk of data loss but you can make it statistically nigh on impossible to happen!